Thank you Amy! Our blizzard came last night and this morning. Snow is slowly melting, so I’m hoping this is the last one! Can’t wait for spring! I’ve never been so ready for it. I guess that will make me appreciate it more. Oh, I looooove this poem!!!! 🙂 Actually, if I am allowed to say, I felt it was about me 🙂 🙂 🙂 Hihihihi! Thank you! That poem made me smile and feel so happy!! It could certainly be about you Line! That’s too cute. I think it would be fun to be a hummingbird! I would love to be able to get around that fast! hehe. It would be wonderful! I love to hear them sing. It’s so healing and soothing. it’s like heavenly chatter. And I love hearing dolphins too, they have a wonderful happy sound. What a wonderful capture of a delicate moment. I appreciate how challenging such a photo is to get. Well done! 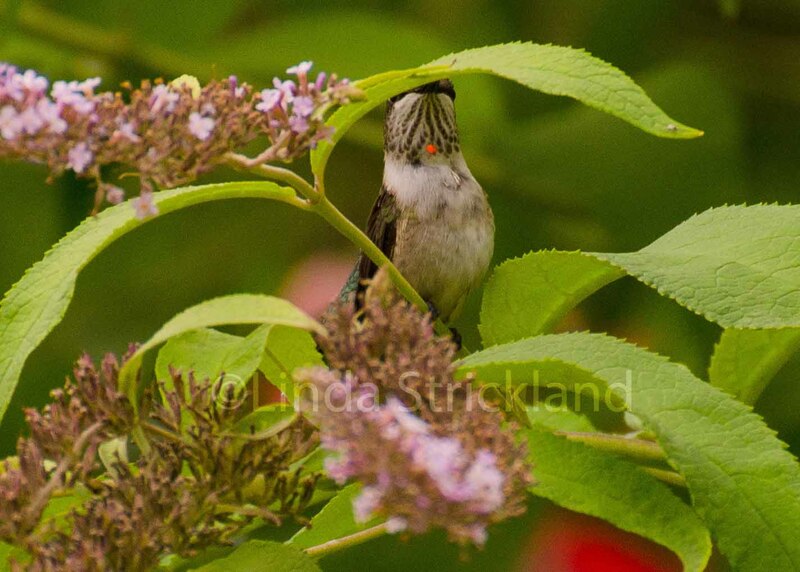 Linda, you’ve captured the other worldliness of a hummingbird perfectly. They belong with fairies and dwarfs and would surely lead us to the pot of gold at the end of a rainbow from which they seem to be made (if only we could keep up). It’s always magic when they visit my garden. They are no easy target to photograph either-bravo for you! thank you wendy. Wish I could see those fairies! I’m quite sure that the hummingbirds can. A beautiful quiet moment … lovely capture ! Yay for your robins! It is such a happy sight. I saw little snowdrop buds today, the first flower to bloom. So our spring is very delayed but at least it’s trying! Love this. 🙂 Too cute!